WET weather has led to the cancellation of Redditch Entaco sides’ opening pre-season fixtures against Chaddesley Corbett and Bromsgrove on Saturday. Both matches were scrapped early in the week following the miserable Easter conditions. The Kingfishers are hoping to see an upturn in weather conditions ahead of their scheduled friendlies against Pershore on Saturday, April 14. The new Birmingham League Division Three season is due to start on Saturday, April 21, with Redditch 1sts visiting Rugby and the 2nds at home to the same opposition at Bromsgrove Road. However, a league vote is to take place to decide whether to delay the start of the campaign for one week. 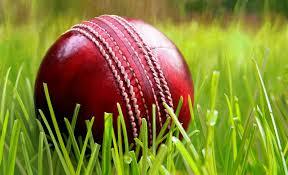 Due to the poor weather, many grounds will not be ready for the first scheduled matches and there is a proposal to start the 2018 programme on April 28 – meaning the April 21 fixtures are now played on Bank Holiday Monday, August 27. If 75 per cent or more of the clubs are in favour of the suggestion, then the start of the season will be put back a week. Meanwhile, the club have recruited an overseas player in Tim Fitch – a wicketkeeper/batsman from Australia – who is set to arrive in the UK this weekend. First team skipper Russell Southwick will be looking to lead the way by continuing his good form, having been crowned Worcestershire County League player of the season as Redditch looking to establish themselves back in the Birmingham League after a 12-year absence.